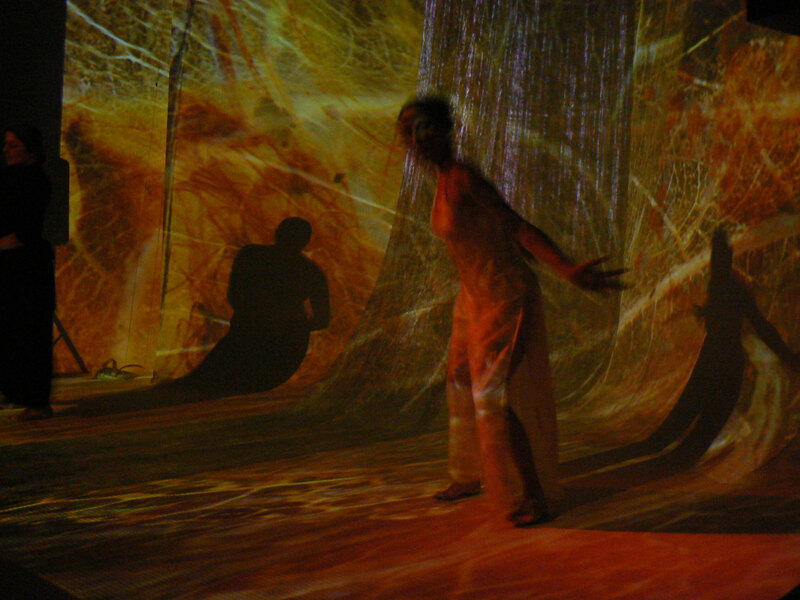 Living Lens is a poetic metaphor that aims to capture the idea of worlds within worlds. 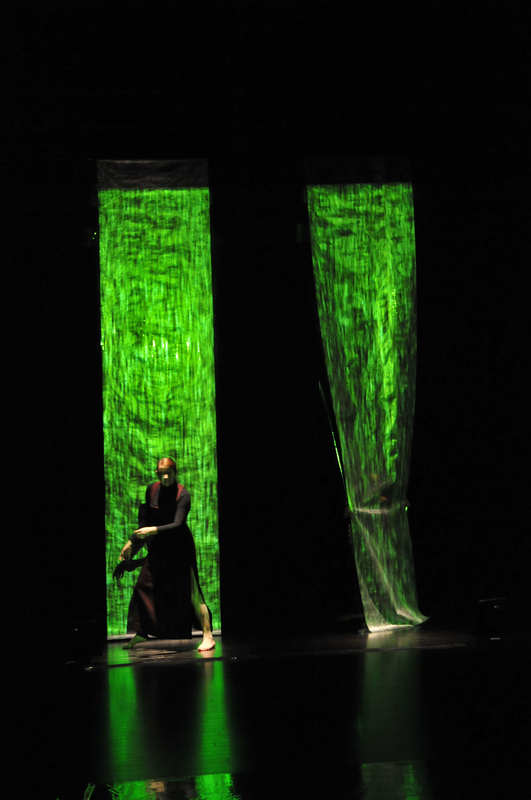 Conceived as a garden with a seasonal cycle of time, visual and sound elements, performers and viewers, are all ‘presences’ in the garden. 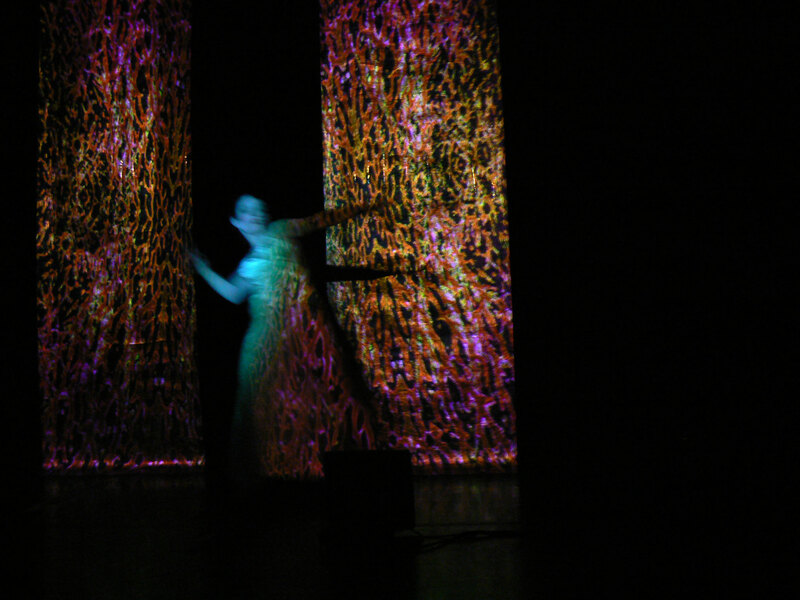 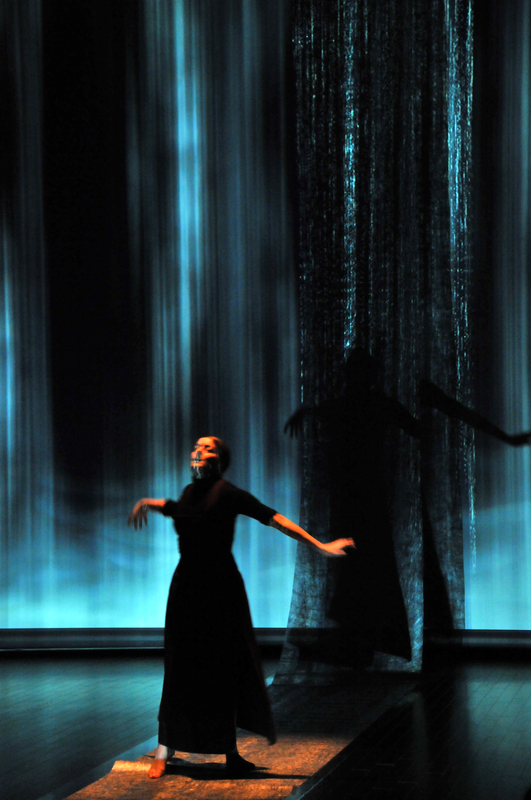 The concept of poetic felt space underpins the work: text-based and pictorial images are embodied through dance and augmented through visual and sonic media. 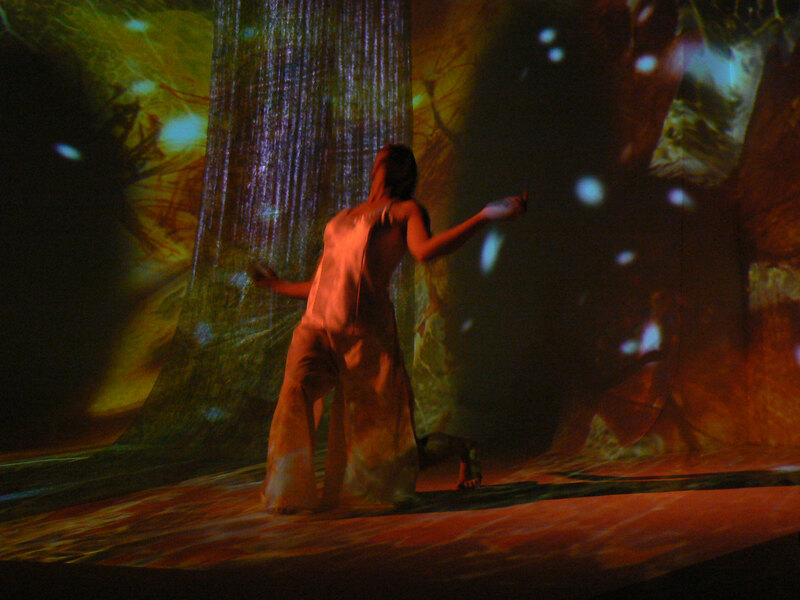 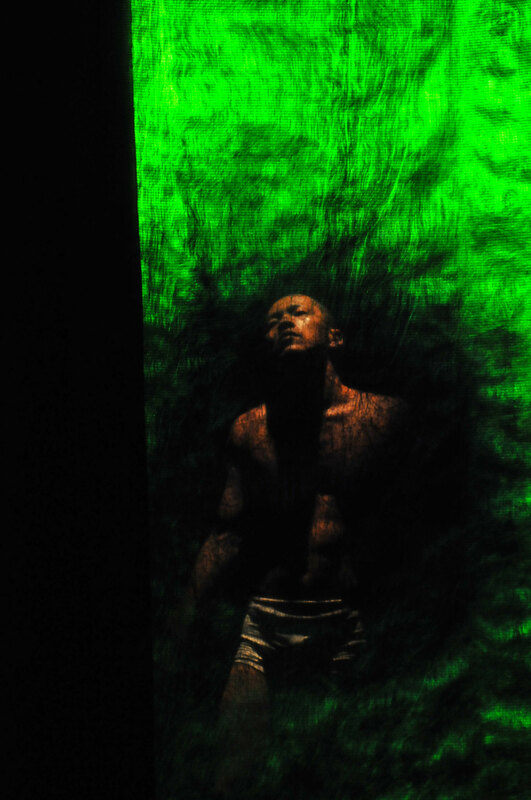 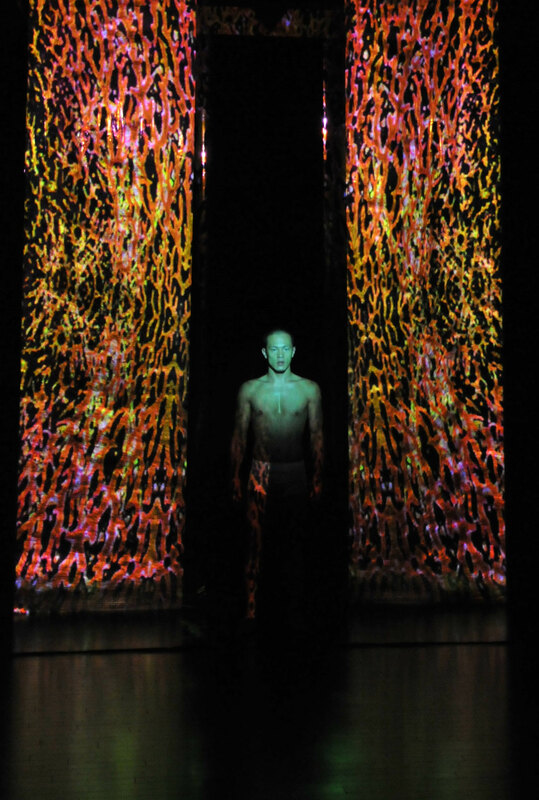 The movement pathways of the performers are shaped by immersion in various sound and visual textures, as well as through encounters with audience members. 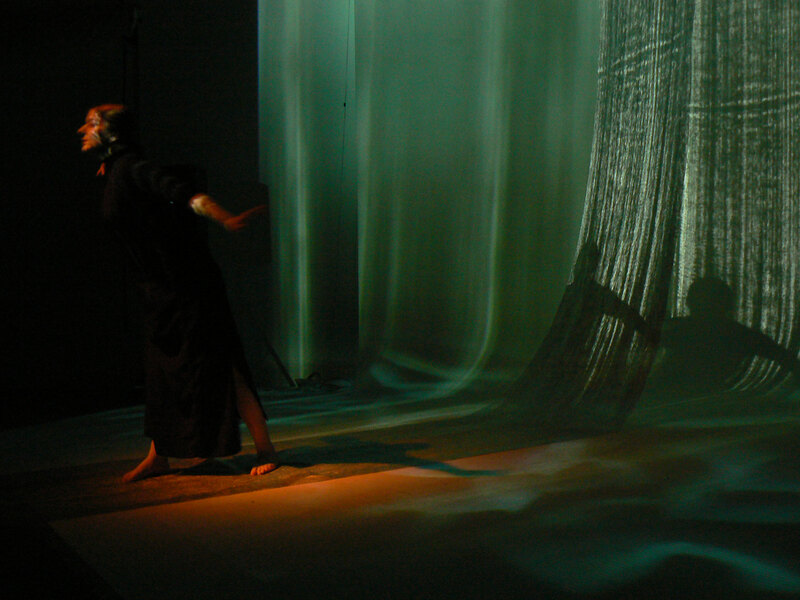 Creative development of Living Lens took place in Australia and Japan between 2006 and 2009, with public showings at The Loft, Queensland University of Technology (2006), QUT Film and TV Studio (2008), Rikkyo Amusement Research Center, Rikkyo University (2008) and Zaim Yokohama (2009).